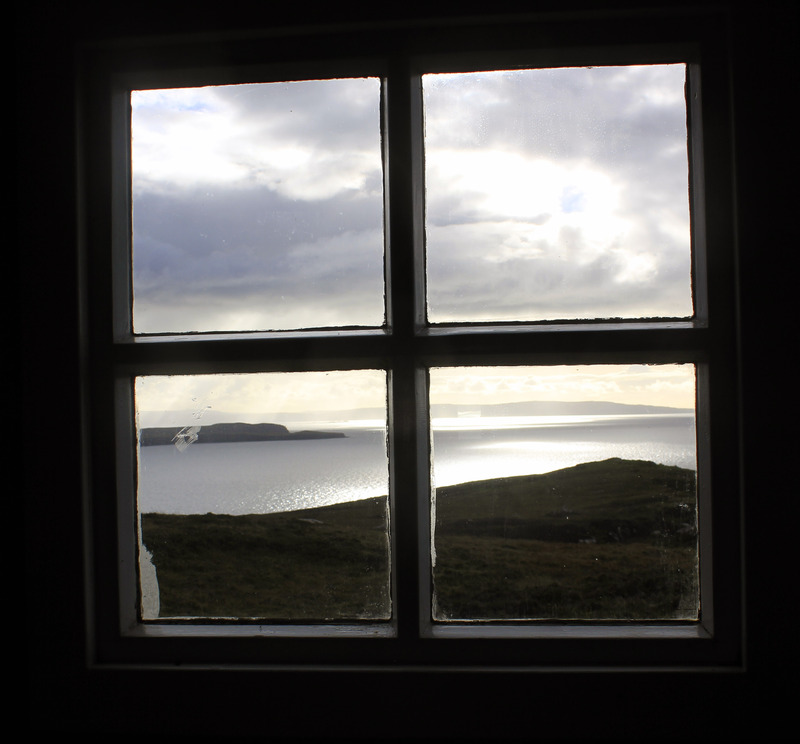 Now I’ve already been to the Lookout at Rubha Hunish on the northern tip of Skye, and checked out the amazing view it commands over the Western Isles, but at the time I had quite a minimalist approach to taking photos. I had been quite taken by a philosophy I had read about which put forward the idea of only taking one photograph a day, honing the skill of judging what makes a worthwhile image. So for example, if you woke up to a beautiful sunrise, you would have to quickly decide whether it was going to be the best set up of the day, or hope a more enticing scene would reveal itself later on. Had you already got a better picture of a sunrise on your travels? Was the composition going to draw the viewer in? That kind of malarkey. I never got that extreme, but was very disciplined in my approach, conscious to only get just enough pictures that ‘spoke’ of the essence of a trip, and not get snap happy. 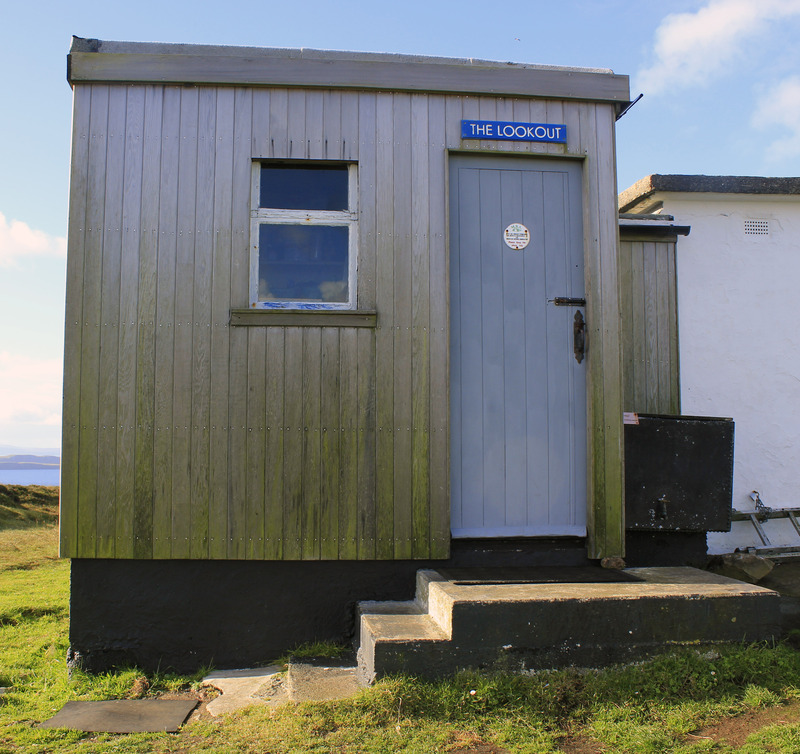 God have I lived to regret that now, I didn’t even take a picture of the bothy! In the back of my mind I knew at some point I’d have to get a proper photo shoot, and having missed out on my last trip to Skye in May, I knew my opportunities were starting to dwindle, before the winter weather brought my more ambitious plans to an end for the year. 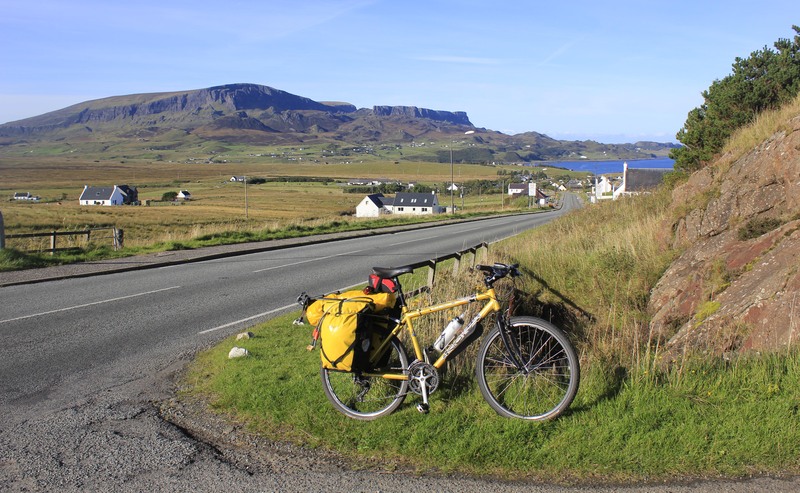 So having just come back from Jura the day before, the forecast of continued high pressure for the next three days at least, was an opportunity just too irresistible to miss, and I booked the bike on the service to Mallaig before the day was out. My kit was barely dry when I jumped on a train Saturday lunchtime, and after an overnight camp in Arisaig, was totally focused on getting to Rubha Hunish and the bothy by the evening. According to mapmyride this is a fairly honest 65 miles through the Cuillin and beyond, and having misread the train timetable, realising at the station that there was no early morning service on a Sunday, I had to throw in the extra nine miles on the back road up to Mallaig. Oh and an extra two mile round trip back, when I realised as I went to take the first picture of the day, that in my earnestness I had left the camera behind at the campsite. Doh! 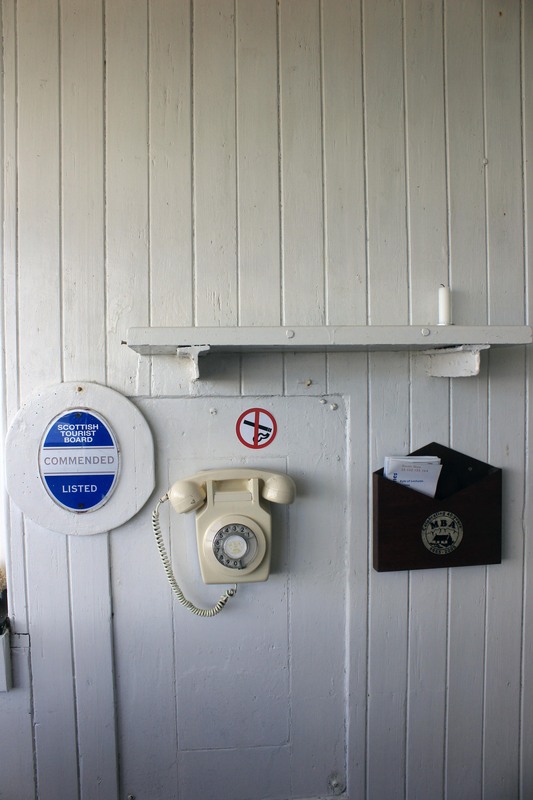 Fortunately there are some days when despite yourself you get a good slice of luck, and having no idea when the next ferry left for Armadale and Skye, I arrived at the dock with moments to spare. No time lost after all that. Substance not necessarily style the order of the day. Well, I made it to the road end just as it was getting dark, and stumbled up to the bothy in the light of my head torch. 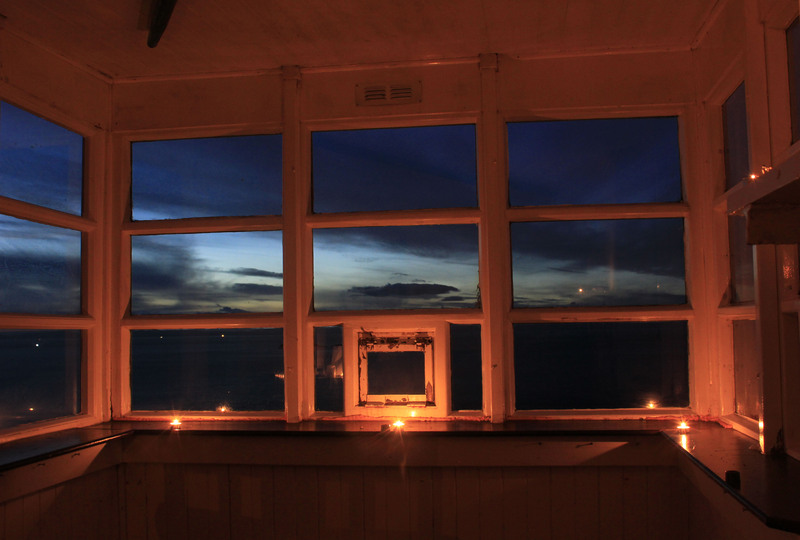 There was a welcome glow at the window, and a pleasant evening spent chatting to a lovely Irish woman, who was heading for Harris the following day. I was up for the dawn, and the next 24 hours were a photographers dream. 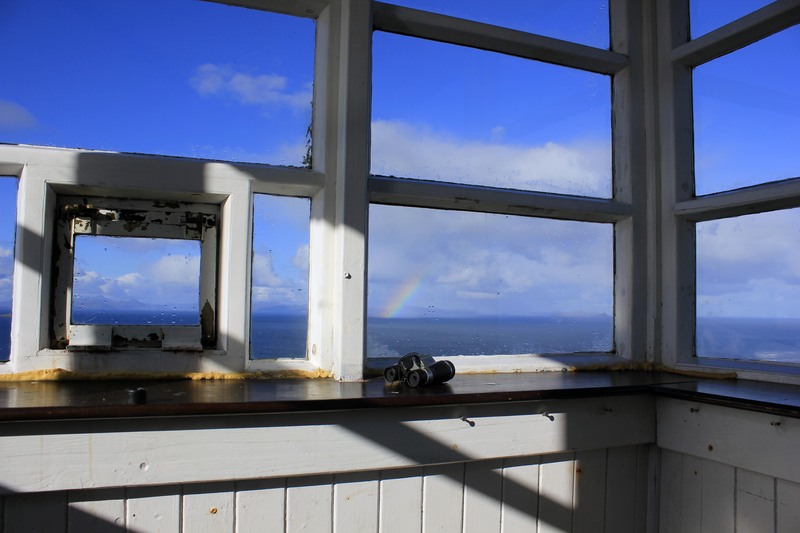 By lunchtime I had all the pictures I needed, and just when I thought I could put my feet up, tracked a rainbow for half an hour as it made its way across the Minch. 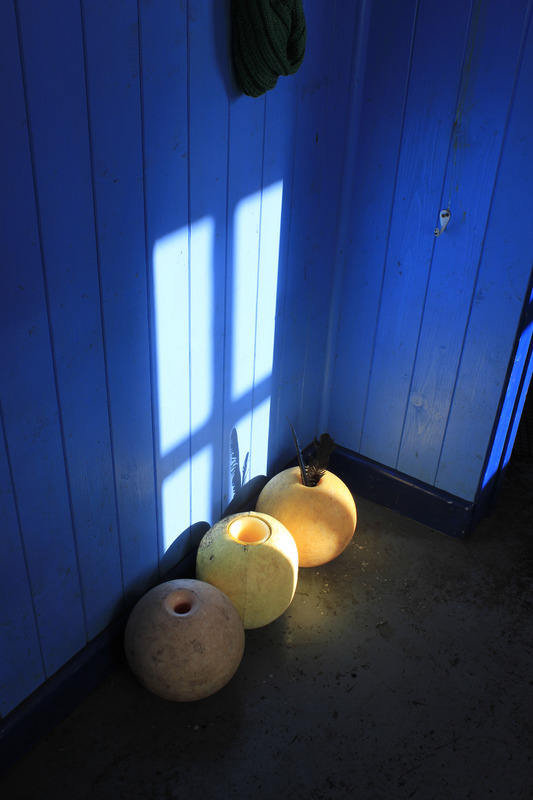 Got some more shots at the point and returned for a satisfying long exposure of the bothy interior, lit with candles with the last of the light in the window. Back down to Sligachan by the following evening, taking pictures all the way, and back to Edinburgh the day after. 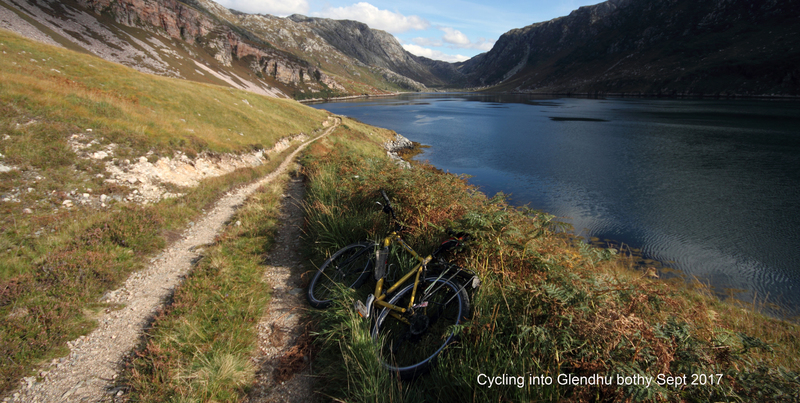 I had toyed with the idea of stopping off at Glenpean, but after being ambushed by a half and a half on the ferry, I was in no fit state to do little more than snooze on the train home. 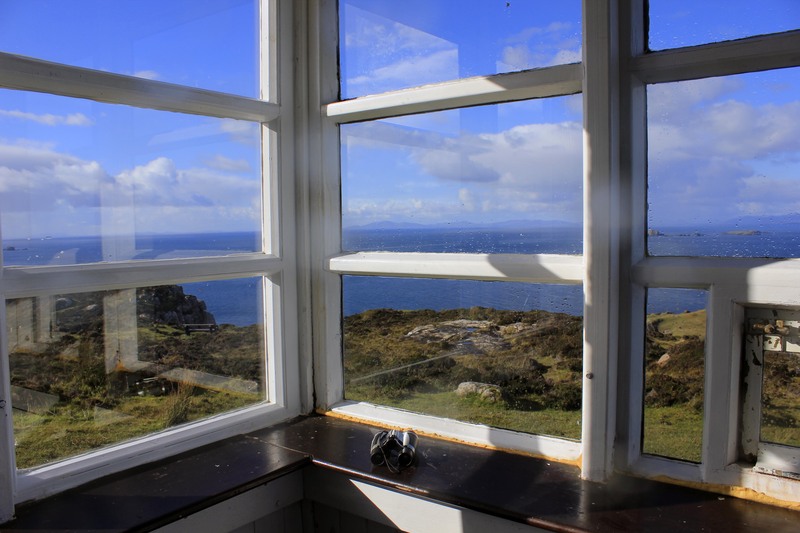 This entry was posted in cycle tours and tagged The Lookout on October 15, 2015 by bothiesonabike.